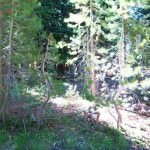 1557 Aztec Way South Lake Tahoe CA offered at $69,900Build your dream home in a quiet Tahoe neighborhood that has a true mountain feel. This is a level wooded lot with southerly views of 3 CA conservancy parcels. The lot is 10,500+ square foot lot that is appx 72' x 146'.Continue Reading! 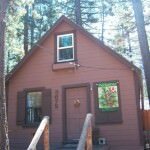 3672 Forest Ave South Lake Tahoe CA offered at $187,000WOW-Great Value!!! 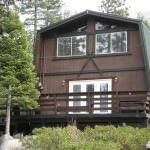 In town, 3 blocks from Lake Tahoe & few minutes from Heavenly Ski Resort you will find this Super Cute, chalet style cabin. Walk to beach, Farmers market, restaurants and coffee bar. Short distance to Heavenly Ski resort. This cabin has been recently renovated with new tasteful carpet and vinyl flooring. Interior was just painted and a new gas stove has been installed. Good size living/dining room, kitchen,...Continue Reading! 3920 Larch Ave South Lake Tahoe CA offered at $359,000HUGE price reduction to $359,000 AND Seller credit for Snow Removal- This is truly the Best Tahoe Value at only $186 per square foot. Large Gambrel Cabin located in desirable Heavenly Heights. This home is in town and nestled on the hill, a perfect combo! Only minutes to Heavenly, casinos & Lake Tahoe. A lucky buyer will enjoy this spacious, well maintained home that is delivered fully furnished &...Continue Reading!